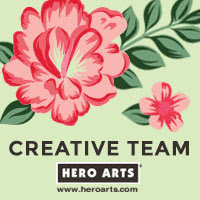 Hello there, I am back today with another Guest Design team card for Craft Mojo. 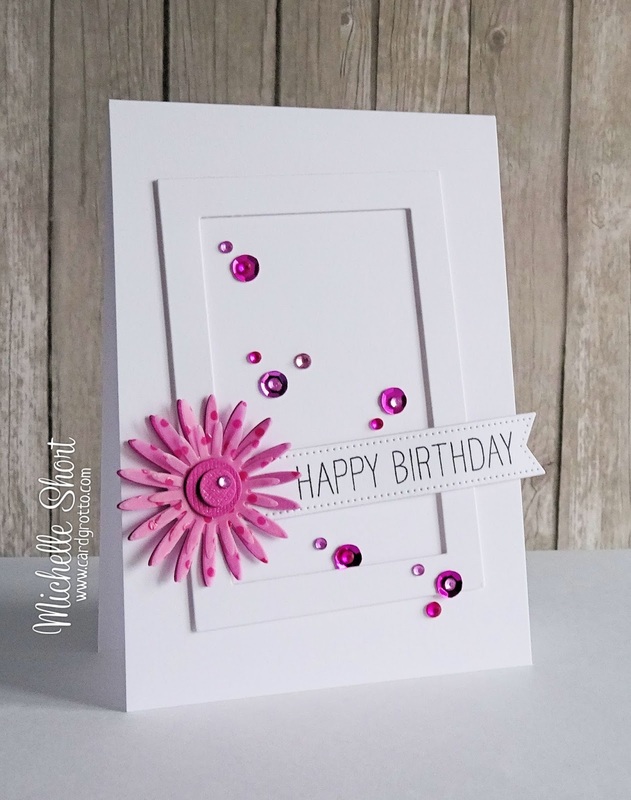 They have a great supply of MFT products in the shop so I wanted to combine some of those for my card today. I went for a white on white look with a pop of pink. I first started with a white card base and then I have added a MFT rectangle frame on top with foam tape. The sentiment, from the WPlus9 Strictly Sentiments set has been stamped in black MFT ink and then cut out using the MFT Pierced Fishtail Flags Die-Namics. 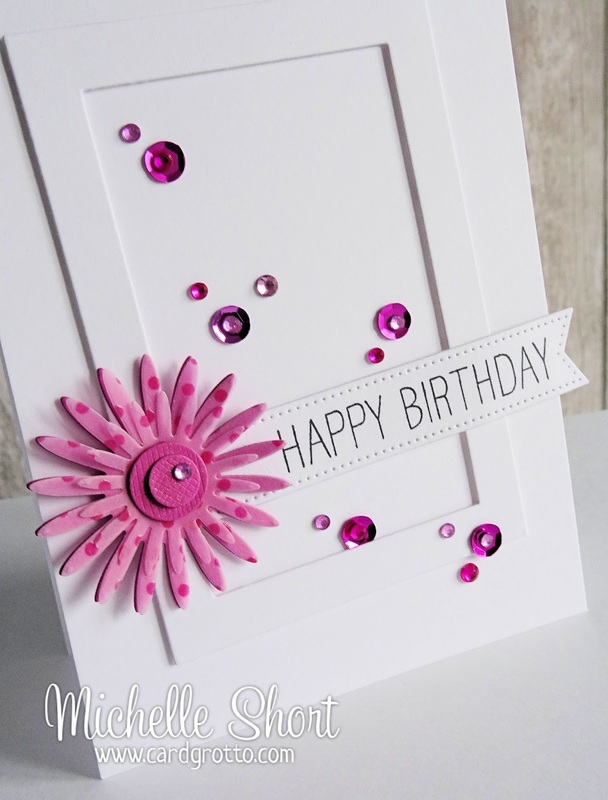 I have then taken the MFT Gerbera Daisy Die-Namics and die-cut two larger daisies, one from Doodlebug Bubblegum cardstock and one from Doodlebug Bubblebum Sprinkles Vellum, as well as the smaller one using the vellum too. These have been layered together and the centres also cut from DB CS. The flower has been added to the card and then I have liberally sprinkled with Doodlebug sequins and gems. Thanks so much for visiting me today. If you get a chance, please pop over to the Craft Mojo Blog to see what the DT have been up to. Have a great day! 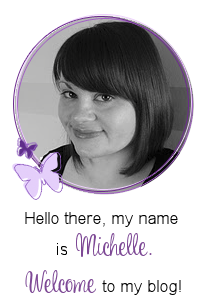 This is beautiful Michelle. I love the dies you used. Love it! Simple but yet so elegant. Yikes, stunning! Another set of dies for my wish list!